← To drink wine…or not to drink wine…..THAT is the question. I’ve always said, “drink what you like”, and I stick to that. However, it doesn’t mean I don’t cringe (just a little) on the inside when I hear about those that drink (& truly enjoy) the Blue Nun, Yellowtail, Little Penguin, Copper Moon, Barefoot wines. Yes, you know exactly what I’m talking about because you’ve tried at least ONE of these that I’ve mentioned haven’t you?! And you know what? That’s ok, because you can’t enjoy the good stuff, without having had the mass-produced, everything-thrown-in-it-wines first. And after you try the good stuff, it’s hard to go back. It really is hard to enjoy that Barefoot Cabernet Sauvignon that your host is serving you when you’ve had the Chateau Margaux. Well…ok….that’s a little extreme, but I’m trying to make a point. Moving up the scale from the $15 Barefoot Cab to the $1500 Chateau Margaux….well, that may take a long time, if ever! And I’m not saying it takes a $1500 bottle of wine to get an experienced palate either. But, when you tend to pay a little bit more for your wine, it should have more quality to it also. After the Blue Nun, I gradually moved up the scale to trying different varietals of white, and then branching out into the world of red wine. I quickly discovered I liked the drinkable Australian Shiraz’s and the Argentinian Malbecs. The French and Italians just plain intimidated me. Enter school, and my class tasting group. It was through these regular weekly and monthly tastings, that I was able to try new and different wines, and find out that there really is a big world of wine out there! I got brave, and started trying more French and Italian wines. And the funny thing is, once I understood more about these wines, how they were made, and what varietals were used, it not only opened my mind, but my palate as well. I love trying new wines, and when I find one I like, it’s usually one of the more expensive ones, because it’s balanced. The alcohol is not overwhelming, or the tannins aren’t just grippy, or the acidity is not making my lips into fish lips! They are all working together in perfect harmony, giving me that enjoyable wine that I can enjoy in my glass again, and again and again. 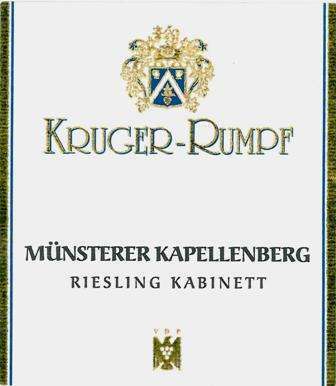 Instead of Blue Nun…try the Kruger-Rumpf Kabinett Riesling. This off dry German from the Rheinhessen will knock your socks off with its fresh flavours of peaches, mangoes and bright, mouth-watering acidity. Take it home for about $23 on the shelf. Instead of Copper Moon Merlot…try the Tinhorn Creek Merlot. An easy-going Merlot that is not spectacular, but I guarantee you’ll notice the difference from the Copper Moon! And if you go to Costco, you can usually find it on the shelf for about $18. Instead of Yellowtail Chardonnay, try Kenneth Volk Chardonnay. This is called the Jaybird, because it is not aged in oak, but because it is aged on the lees, it has the creaminess that a good Chardonnay imparts. Some nice butterscotch and caramel flavours. It is on the shelf for $28.50. Instead of Barefoot Cabernet Sauvignon, try Honig Cabernet. This gem of a bottle will cost you a little more…like $56, but well worth the money, as this one will not only taste good now, but will age nicely as well. Well rounded wine with lots of Cassis, some cigar box and peppers. Save your pennies for this one! It’s beautiful! Instead of Little Penguin Shiraz… try Blackbilly Shiraz. Really, a nice, decent Shiraz from Australia. Not all that front jamminess, but really structured and balanced with the black fruits and black pepper. High in alcohol, but it balances nicely with the smooth tannins and hint of acidity. A great choice on the shelf for $30. So go ahead..be brave, take a few chances! Maybe “up the ante” a little bit. Trust me…it will be well worth it! This entry was posted in wine and tagged Cabernet Sauvignon, Canada, Chardonnay, Honig, Kenneth Volk, Kruger-Rumpf, palate, Riesling, Shiraz. Bookmark the permalink. A fantastic post! So helpful and educational and all the while you get someone not so hung up on wine to want to try something new! !